 Dream of Wild Health (DWH) is an intertribal, independent 501(c)3 nonprofit that serves the Minneapolis-Saint Paul Native American community. Dream of Wild Health is one of the longest continually operating Native American organizations in the Twin Cities. DWH owns a 10-acre farm in Hugo, MN, providing educational programs that reconnect the urban Native American community with traditional Native plants and their culinary, medicinal and spiritual use. DWH maintains an urban presence in Minneapolis with offices in the heart of the Phillips neighborhood in the Native American Cultural Corridor on Franklin Avenue. Each year Dream of Wild Health teaches Native American youth about gardening, cooking, and culture while developing job and leadership skills throughout youth programs. Dream of Wild Health runs a CSA called the Indigenous Food Share (IFS) and sells produce at three farmers markets in Minneapolis and St. Paul. We also grow indigenous foods including corn, beans and squash from a collection of rare seeds that were given to us by Cora Baker, a Potawatomi elder. Dream of Wild Health partners with dozens of urban and tribal organizations on programs that work to restore the mental, physical, and emotional health of the Native American community. DWH is a founding member of the Indigenous Seedkeepers Alliance, a network of Native people and organizations dedicated to returning indigenous foods to our communities. Together with our partners, we are organizing a comprehensive Indigenous Food Network that incorporates access to affordable healthy and traditional foods with support for regional Native food producers, creative and accessible channels of distribution, and opportunities for job training and employment. We are a nonprofit organization. We rely partially on donations to fuel our mission. Consider donating today.